Our mission is to train highly effective and successful practitioners who will transform the lives of children with special needs, the aging, those suffering from stroke, injuries, pain, and other limiting conditions, high performers, and people who want to live a fuller, more vital, and satisfying life. We are committed to bringing our graduates to the frontier of the neuroplasticity revolution and the power of movement to make the seemingly impossible possible. We provide trainees with theoretical and practical tools that dramatically enhance physical, cognitive, emotional, and creative abilities. This Method leads to extraordinary breakthroughs in physical, emotional, and cognitive performance, often making the seemingly impossible possible. We don’t know what’s possible. We’re on the frontier of learning what’s possible. This holistic NeuroMovement® Method is proving that the “impossible” IS often possible. We have worked with children and adults who have moved way beyond expectations and limitations. And they continue to learn and develop throughout their lives. Be at the forefront of the Brain Plasticity Revolution! 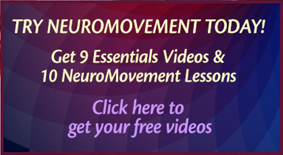 Become a certified NeuroMovement® Practitioner. Anat Baniel has helped thousands of children and adults achieve transformational outcomes beyond what they imagined possible. She has also trained hundreds of practitioners in this Method to get these same remarkable results with many more thousands of people. Learn More about Anat Baniel. 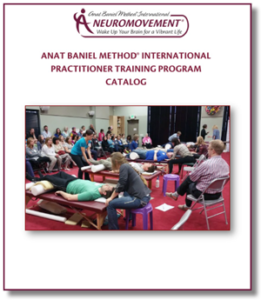 Learn more about the Practitioner Training Program: Request a Catalog.